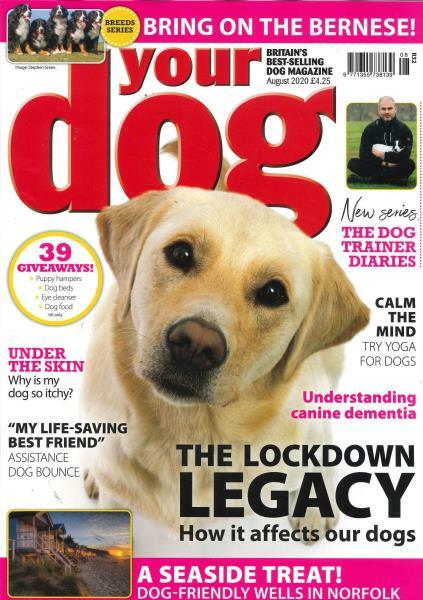 Having a dog at your home makes it very essential for you to read Your Dog magazine regularly, as it features every aspect of dog keeping and owning. With a new issue every month, Your Dog magazine has best of advices and tips to keep your dog healthy and happy. Your four legged best friend must be treated with the best of everything. For this purpose, Your Dog magazine has a number of informative articles and journals written by experts to educate and inform you about everything that you may need to know as a dog owner. The topical articles on dog health, common diseases, training, breeding and behavior provide and enjoyable read for everyone while making you understand your dog better. The magazine also features all the major events, dog shows, competitions and health camps. The real life stories from the fellow dog owner are truly inspiring. You can easily subscribe Your Dog magazine to get every issue to be conveniently delivered to your home and you will never miss any important reports about the health, training and breeding of your dog. Full of great stories as well as training tips and behavioral advice. It is a must have for all dog owners who want to provide the best care for their furry loved ones!